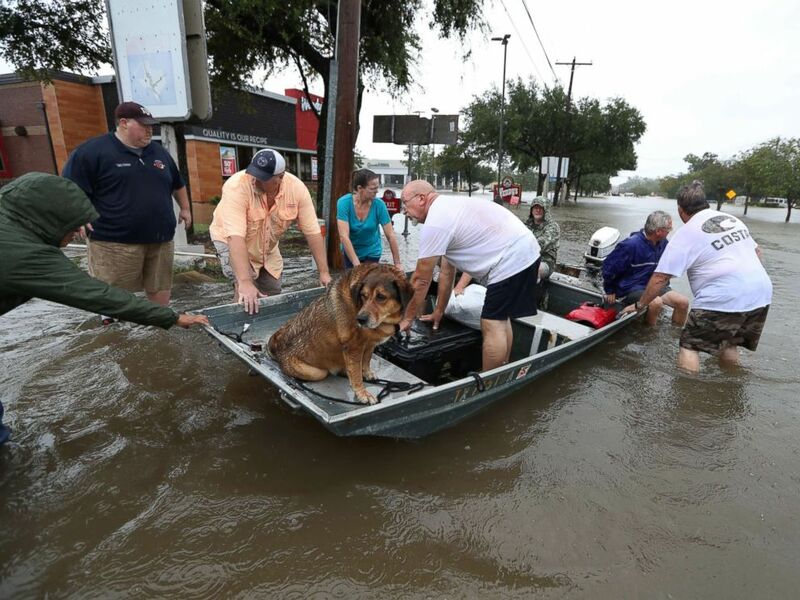 As Houston and the surrounding coastal Texas area experiences unprecedented rainfall and flooding from Hurricane Harvey, heroes from all walks of life are weathering the storm to rescue thousands of their stranded neighbors. From a major airline company and breweries, to the unlikeliest of civilians, all have stepped up to lend aid during the crisis. Sunday evening, Southwest Airlines evacuated 486 people from Houston, including employees and customers. The Dallas based airline requested and received special permission to operate five flights out of the international William P. Hobby Airport, located in southeast Houston. Anheuser-Busch paused beer production at their Cartersville, Georgia brewery to produce more than 50,000 cans of emergency drinking, which were then shipped to areas expected to have a shortage of safe drinking water in the days and weeks to come. In the past, the brewery company canned water for flood victims in Texas and neighboring states, including after Hurricane Sandy, and provided water for firefighters in Washington. “Putting our production and logistics strengths to work by providing safe, clean drinking water is the best way we can help in these situations,” said brewmaster Sarah Schilling. Another brewery company, the local 8th Wonder Brewery team, used their truck to rescue residents from their flooded homes. One unexpected hero was 29-year old Zachary Dearing, who took command of a storm shelter in Rockport when there was no one else in charge, recruiting 15 volunteers to assist him. When state emergency authorities arrived on Saturday, they found at least 126 people taking shelter there, many needing food, water, medical care and treatment. Over the weekend, there were heroes to be found everywhere you looked. Neighbors saved neighbors from their flooded homes. The KHOU 11 News crew rescued a trapped truck driver while maintaining their broadcast. The Cajun Navy, formed 12 years ago after Hurricane Katrina devastated New Orleans, assisted in the search and rescue. A woman rescued bats from underneath a bridge. And a teenager rescued residents with his boat.